The Suburban Style Life: Target Does It Again! Hello friends, thank you so much for everyone who commented on my last post about converting my Living Room into a Play Room. Nothing drastic has taken place just yet! I was quite surprised to hear how many of you have actually done this. It sounds like certainly something I may consider in the future. For now, I continue to shuffle toys around from the Great Room, to the Bedrooms, to the Basement, etc. I have found some more storage and have gotten creative with turning their second closets into toy storage. I will keep you posted if I decide to do this. It's a long Winter so I may get a little crazy one day and start the transformation process. I wanted to share with you all today about my latest Target finds and obsessions. If you have followed my blog for awhile, it comes to no surprise that Target is by far my favorite store, my happy place!!! Their shopping carts hold two babies! I have to say now that I am a mother of two, Target and Sam's are pretty much the only stores I feel comfortable going to without Jeff because of their roomy and accommodating shopping carts. I mentioned in my 2013 Resolutions that I want to make an effort at being a little more fashionable this year. I have seen on several blogs this famous cardigan and was thrilled when I found it at our local Target. I love how Audrey from Putting Me Together has styled it in so many different ways!!! I picked up a box of teeth whiteners to try. I have honestly never tried whitening my teeth before. I am nervous about how the whitener can make your teeth sensitive but I could really use to whiten my teeth a few shades. I bought one of the more inexpensive Crest Whitestrips that appear to be especially made for Target customers. Have you seen the new Chevron sheet collection in the baby section this week? Oh my goodness!!! I own a few gray chevron sheets from Pottery Barn kids, however, may need to pick up a few more at Target. These are adorable. I really wish they made these for twin beds, we are just about to move Jillian from her toddler day bed to a big girl bed or else I would be snapping up the pink ones! Have you seen their Spring home collection yet? Beautiful lamps and lampshades caught my eye the other day. Although I was sad to say goodbye to my 2012 Erin Condren planner, I love my new chevron planner from Target! It's a perfect size and has everything that I love in a planner. 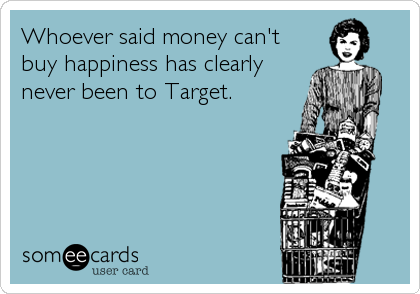 So what are you loving at Target lately? I would love to hear! I'm with you!!! love that place especially the one with Starbucks in there for a little treat!!! I have to say my favorite is the paper section. Love all the pretty folders and notebooks. Our Target has a Starbucks, such a fun little treat while I shop!! its my favorite store. I haven't been to your blog in a while your babies are getting so big. I thought are those her kids? growing up fast. Have a good day and enjoy your Target purchases. Hi Kim! I know, they grow so fast, it's so hard to believe. So nice to see you! Thanks for stopping by! Cute stuff! I really love the cardigan! Thanks! It is really cute on too. I may grab a few more colors too. I would love that Abby! Would that be awesome? We could also have a virtual lunch at Chick Fil A before we shop! LOVED this post. Target is my happy place. Target Forever!!! Love those green shoes, and the lamp shades & the crib sheet. Check out Target's party isle...the past few months they have been carrying those cute paper straws!!! 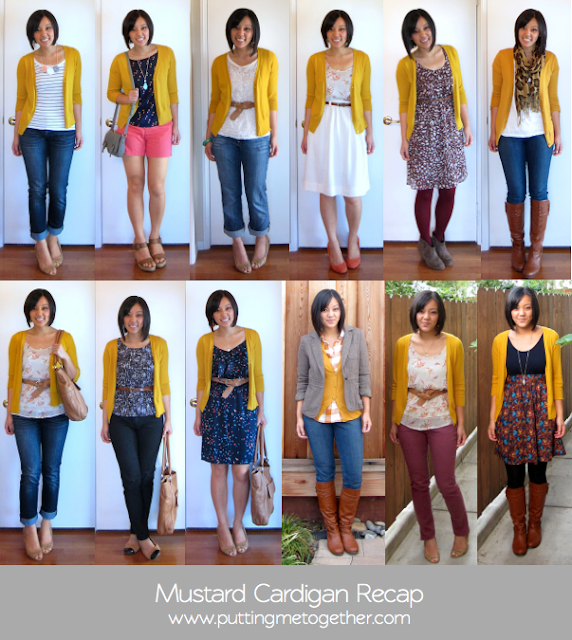 I think I need to go pick up that mustard cardigan! Love! Now following you-sorry it took me so long! So true on that last photo. Cute, Cute things. Oh do I ever share your affinity for Target. I get lost in there for hours. Most of the employees know me by name, yes it's that bad. Hope you get the emerald shoes. They were on clearance at my Target the other day for $7.98!!! Hey just came across your blog. Im in India no Target...but recently visited Miami and I admit ♡Target. The variety is awesome..I bought combs and some clothes. Was I living there I would have bought zip pouches and surf and the tall peanut butterjar etc. Target can be my happy place but also a dangerous place...just too many cute things!!! I just found your blog via Twitter and can't wait to read more!